Indie giant Concord Music Group has launched a re-issue offshoot under the Craft Recordings moniker. Based in L.A., the new venture gets rolling next month with a triple 180-gram vinyl box set of Thelonious Monk with John Coltrane. Complete 1957 Riverside Recordings is lovingly packaged with new art, rare snaps and an essay by session producer Orrin Keepnews. This is not the first time these recordings have been reissued; Universal pressed a double-CD package in 2006 that mirrors this track-by-track. That said, the four sessions here — spanning April 12 to July 1957 — are of real historical significance and deserve another listen. The recordings capture the two giants at key moments in their careers. Monk was in his prime, having headlined a pair of Riverside recordings in 1956 along with a Duke Ellington tribute the year before. He released three solo albums for the label in 1957, on top of the Coltrane collaboration — Thelonious Himself, Monk's Music and Mulligan Meets Monk (with Gerry Mulligan). 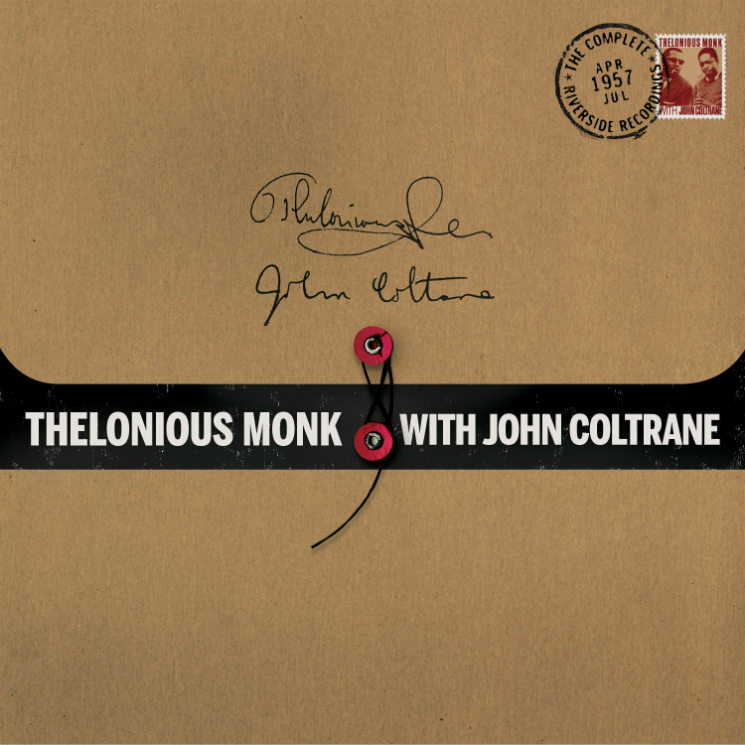 Given how fruitful a period this was for the pianist, it's no surprise that a selection of Monk's recordings with Coltrane didn't find a home on vinyl until 1961. Coltrane was in quite a different state. Still working on his recovery from heroin addiction, he was very much Monk's junior partner. He made his solo debut in 1957 after Miles Davis fired him on two separate occasions. A decade younger than Monk, the 30-year-old Coltrane experienced his self-described "spiritual awakening." A star was born, even if he only had another ten years ahead of him. The sessions produced genuinely astonishing moments. "Ruby, My Dear," "Crepuscule With Nellie" and "Monk's Mood" are all well-documented masterpieces. The real power in all of this material, though, is in the moments within the tracks — the pauses, the syncopation, the otherworldly timing these guys had and the way they played off of one another.